I’m about six-and-a-half months pregnant with my second child as I write this, and am currently recovering from my third cold. Cold and flu season is no fun, and it brings a special kind of misery to pregnant women, as the options we have for medication are extremely limited. 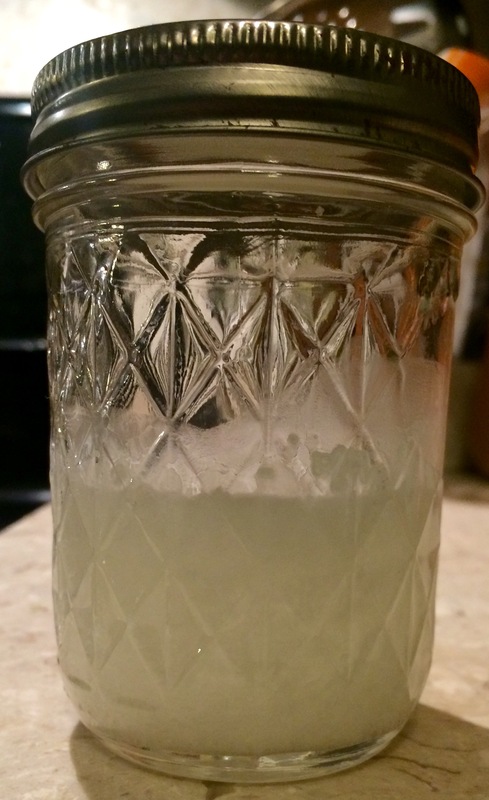 My husband recently discovered a natural home remedy he uses to relieve sinus pain. I’ve used it during the last two colds I’ve had with this pregnancy, and this time it was such an extra huge help I decided to write this post and share it with you. I highly recommend it if you have a cold, sinus infection or other sinus issues, chronic or not, pregnant or not. The relief it’s brought this mama is priceless! 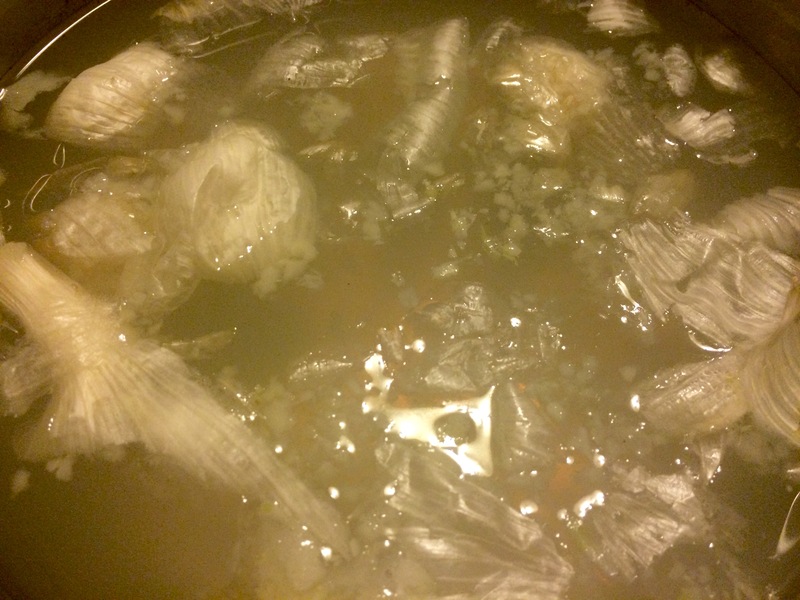 Fill a medium saucepan two-thirds of the way full with water. 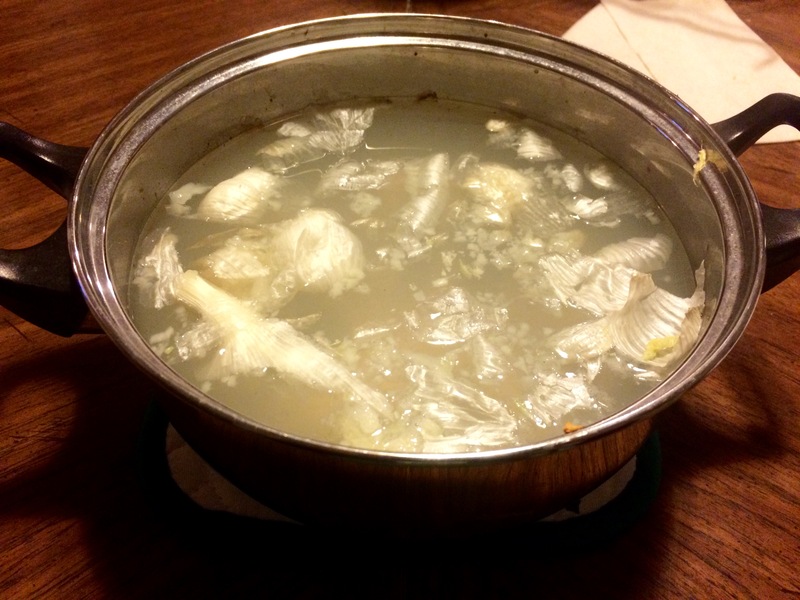 Press the garlic cloves into the water (you can also throw in the skins for good measure). Bring the water to a boil. Add the eucalyptus, rosemary, and tea tree oils. Stir a few times to blend. I like to sit at my kitchen table with the saucepan on a pot holder. Set a timer for 15-20 minutes and drape a towel over your head. Breathe in the steam as deeply as you can for as long as possible, and repeat until the time expires. It helps to have a box of tissues nearby while you do this. If you’re too clogged to breathe through your nose, breathe through your mouth. Close your eyes if you need to. It stings and it burns, but I promise you it’s worth it. 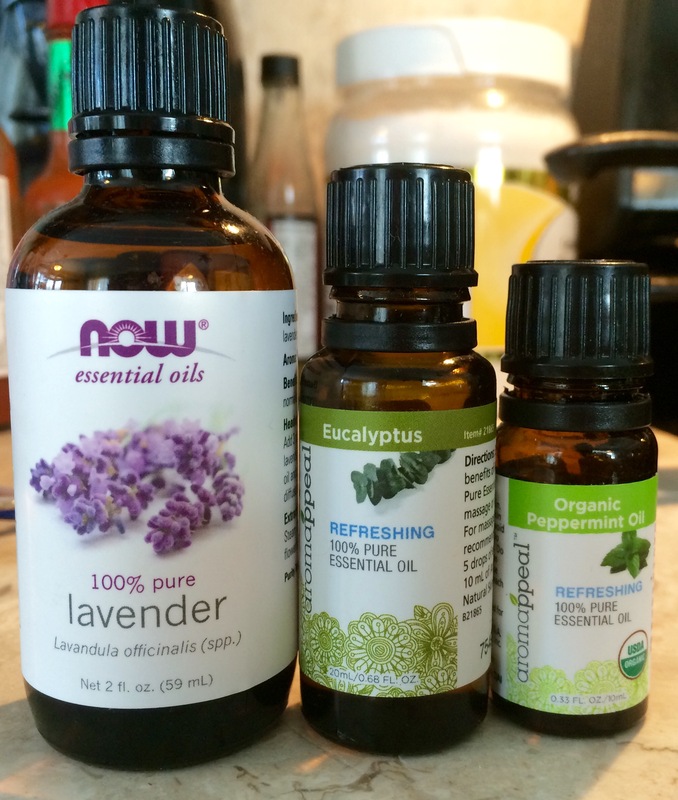 I found it especially helpful with this most recent cold to do the treatment in the evening before bed (which I followed up with an Espom salt and lavender oil bath), and then another one in the morning. I found immediate relief after the treatments, and then a half hour to an hour later and throughout the day I found they had helped even more. 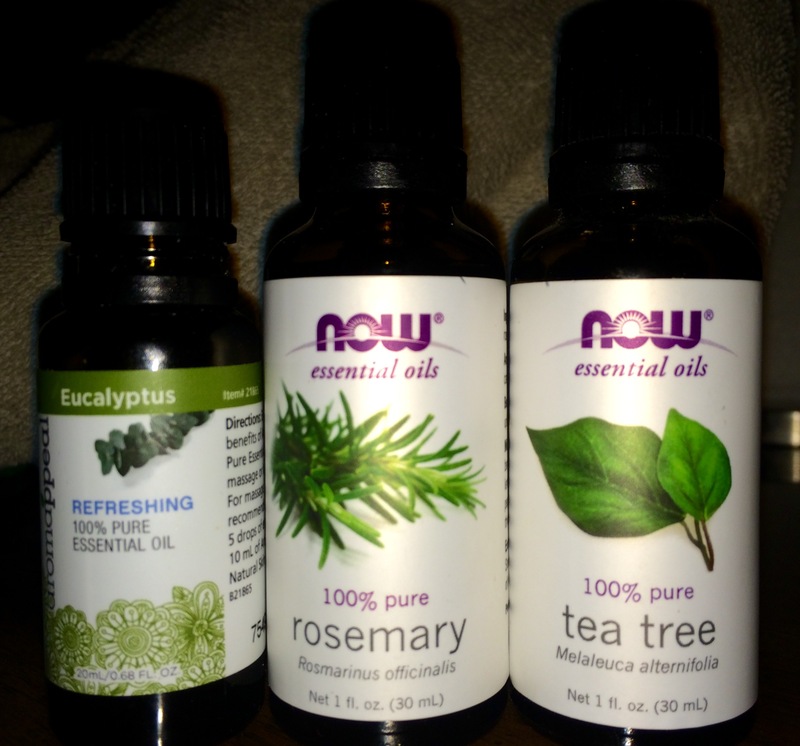 The oils work in your sinuses afterwards and continue to improve the symptoms. I feel it’s helped me to recover faster and if you try it I hope it helps you! 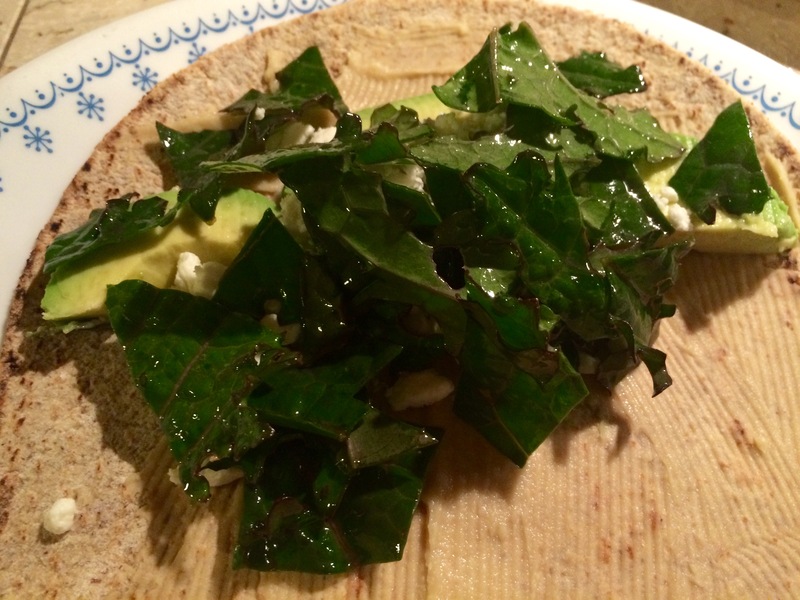 I found this recipe from Anna Gannon for kale avocado wraps on MindBodyGreen. It’s presented as a lunch recipe, but I made it for dinner one night, along with some Annie’s macaroni and cheese. 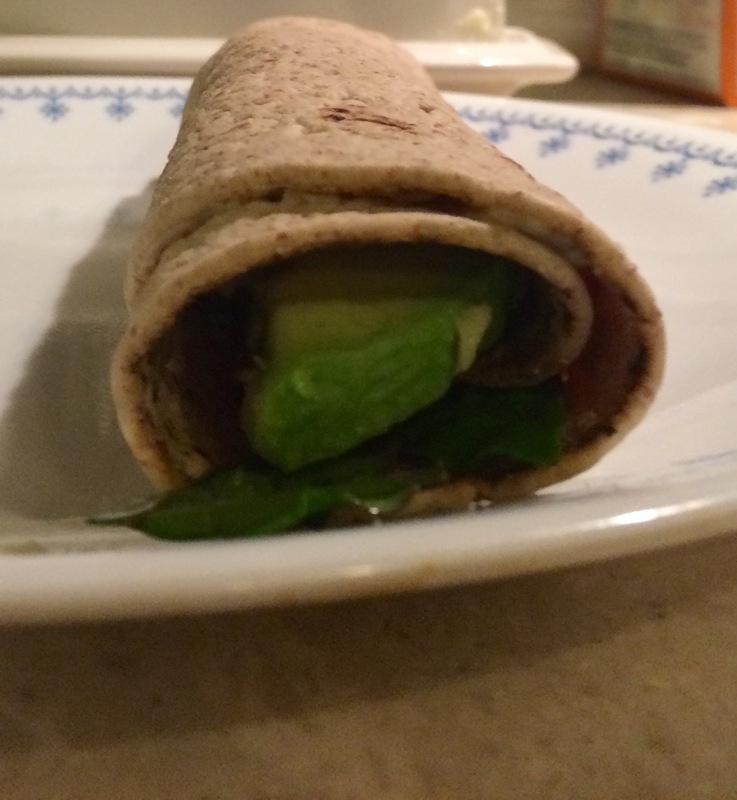 The sandwich filled my husband up, which is impressive, especially for a meatless meal. 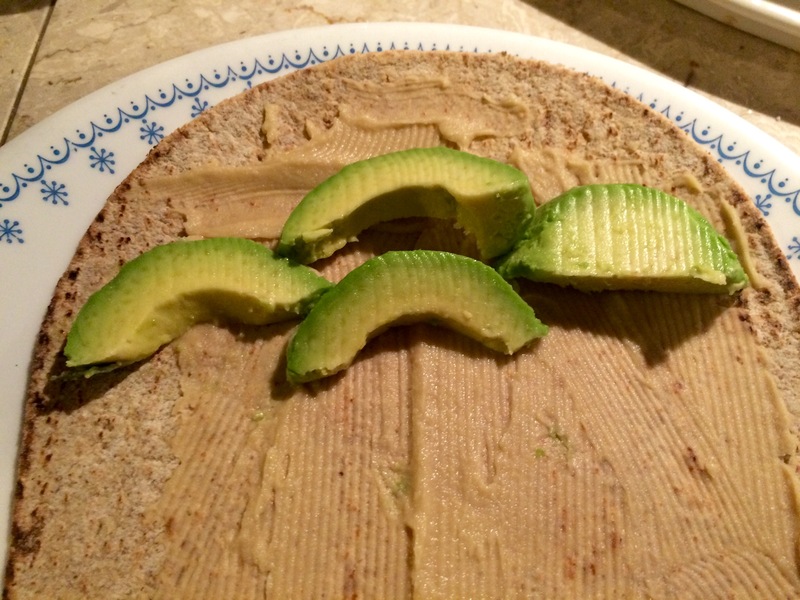 Avocado is a wonderful meaty fruit that serves well as a meat substitute. I did, of course, tweak the recipe just a bit, due to what was already in my fridge. The recipe below is for 1 wrap. 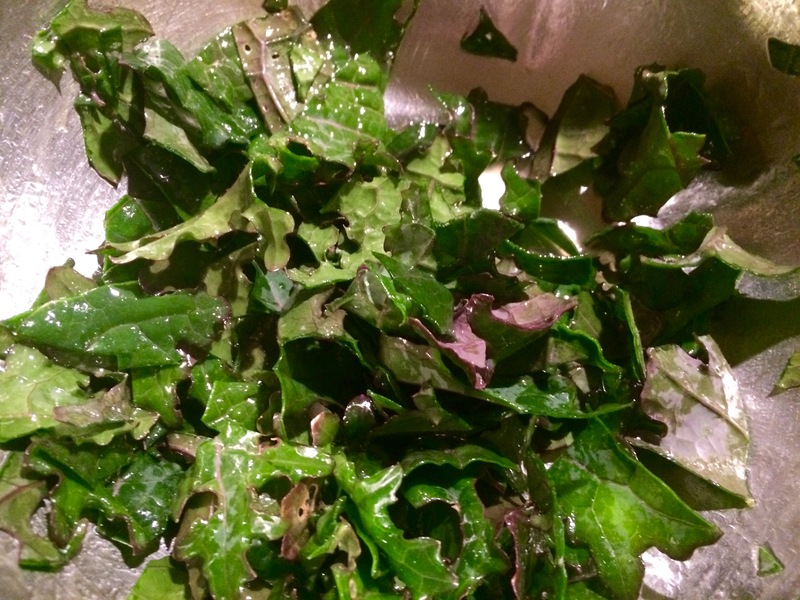 Mix kale, olive oil, lime juice and salt in a small bowl. Set aside for the second step. 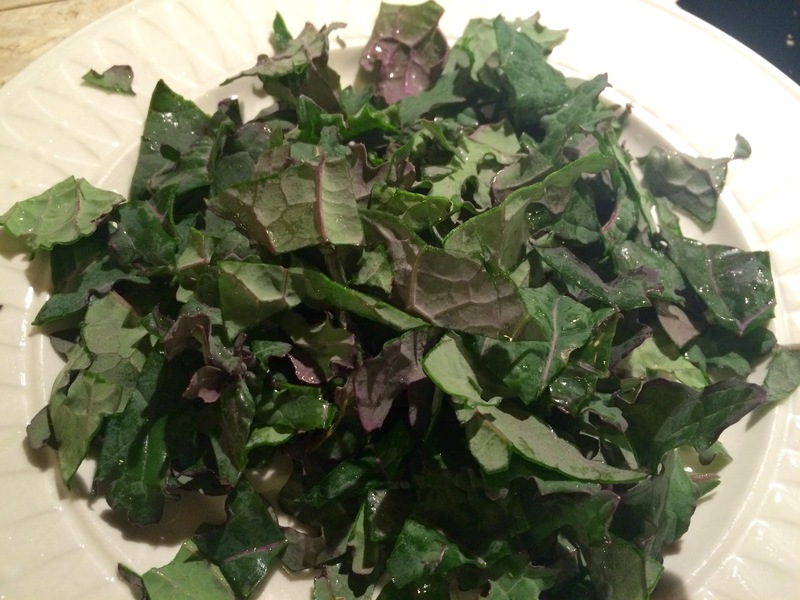 Shredded kale from our garden! 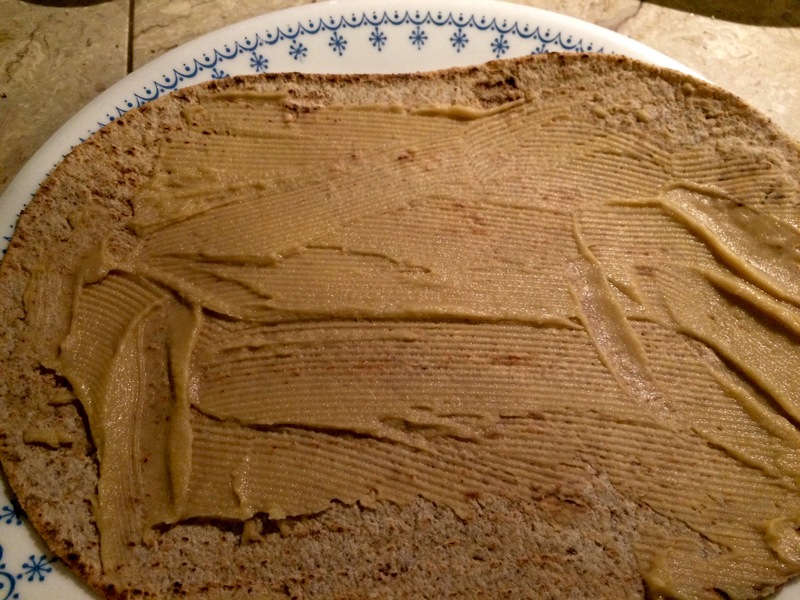 Spread the hummus on the wrap. 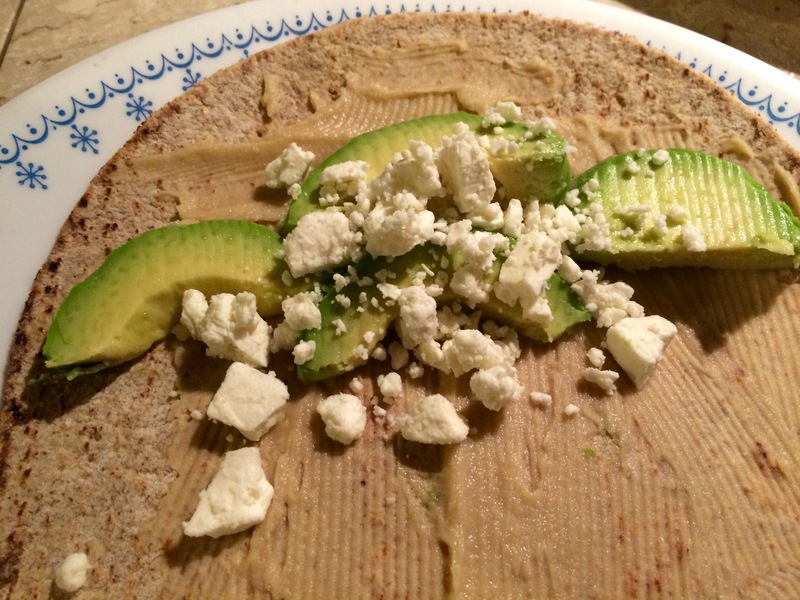 Spoon feta cheese over avocado. Roll it up and enjoy! It’s a quick meal to whip up around the holidays when you’re short on time. It’s also a nutritious option to help offset all the Christmas cookies I’m eating (ahem). Enjoy! Two winters ago, my husband and I started making our own maple syrup from five trees in our front yard. We keep and freeze some and like to share and give the rest away. As a result, people have asked us for maple syrup recipes. This is the first in what I hope will be a series of recipes involving maple syrup. Blend mix, egg, oil, milk and peanut butter until just blended. You may need to adjust the batter with more mix or milk if it becomes too thin or thick. 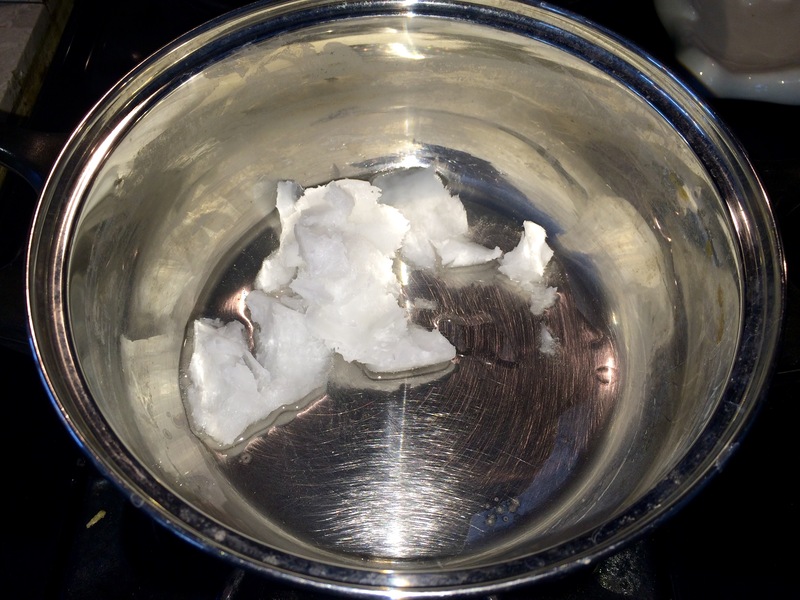 Preheat cast iron skillet or griddle with olive or coconut oil. To make pancakes, I scoop batter out of the bowl with a 1/4 cup and pour into the skillet. Cook on medium heat until until you see bubbles in the center and the edges begin to brown. Flip pancake, cook for less than a minute. 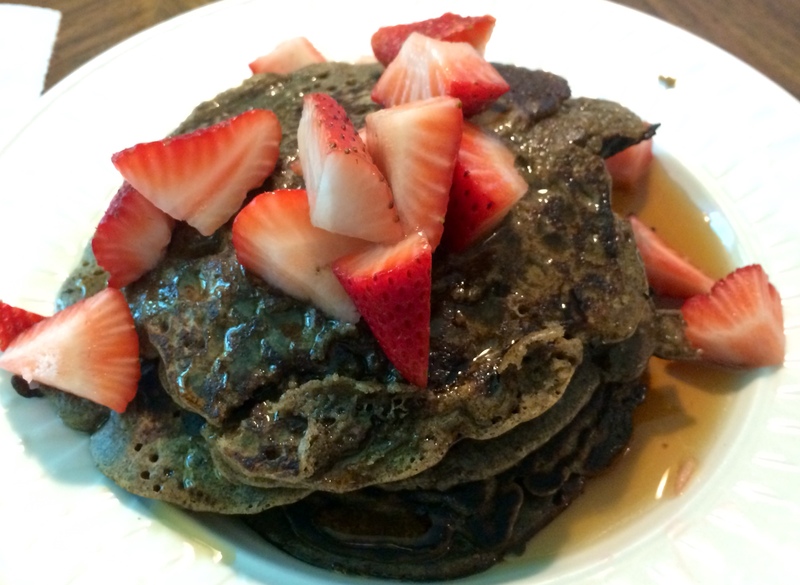 Stack pancakes on a plate and top with strawberries and maple syrup. Yields about 12 pancakes.